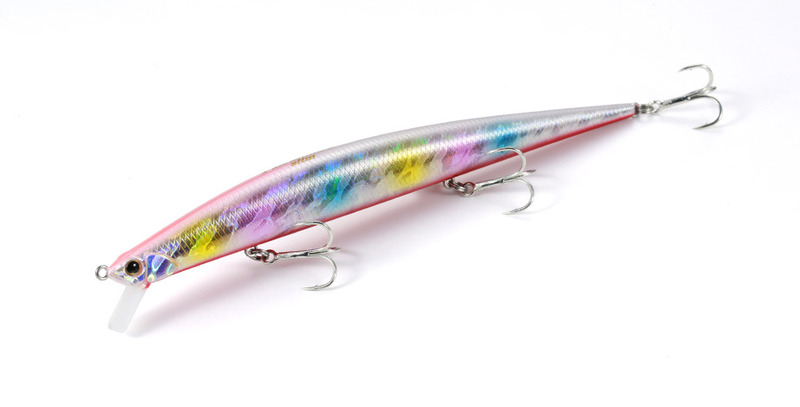 The Tide-Minnow Slim 175 is a lure that redefined the standards of body size. It is very easy to handle for its size, and has proven its potential in Northern Japan not only with seabass but also sea trout. Large minnows tend to have many problematic qualities, such as being too heavy to cast, having too much air resistance while casting, being too heavy when retrieving, etc. We have worked on these problems, striving to create a lure that can be used with medium class seabass tackle in winds, waves and currents that are typical while fishing for seabass. The pronounced “wobble and roll” action and the strong wake created by the long body appeals to the game fish in a vast range of conditions. 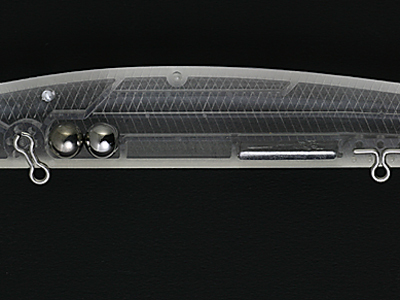 We challenge anglers to break out of the stereotypes and give this 175mm a try. This slim minnow may well be an eye opener! The moving weight consists of large tungsten and steel spheres. A fixed weight resides in the stomach. 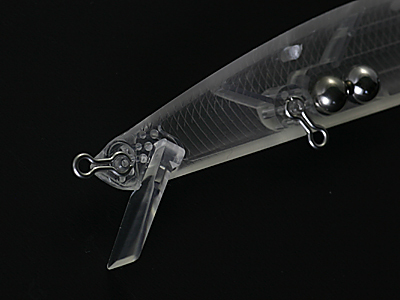 This weight combination creates a stable flight posture resulting in an outstanding casting distance.